Thermex engine heaters are designed to minimize downtime of your heavy equipment and maintain engine and coolant temperatures in freezing weather. Reduce fuel consumption and overnight idling of trucks and heavy equipment. Quickly distribute hot engine coolant to warm critical systems. Thermex Systems is a design-build manufacturer of custom engine heaters for heavy equipment and trucking applications. Built for the harshest freezing temperatures, our engine heaters and diesel-fired coolant heating systems keep your fleet running and minimize downtime. Eliminate overnight idling of your heavy trucks and equipment. Keep your batteries at full amperage and reduce your carbon footprint. All while saving money on fuel costs, and maintenance. Thermex engine heaters are an economical solution to keeping your fleet running at optimum performance. The cost of overnight idling can be astronomical as rising fuel costs and environmental impact is a no-win scenario. Our on-board diesel-fired coolant heaters, and fleet heating solutions are the best choice to keep fuel and maintenance costs down by providing consistent heat to all systems. Thermex PortaThaw® system can start multiple trucks and equipment in harsh freezing temperatures. A portable, diesel-fired coolant heater specifically designed to quickly warm engine coolant. 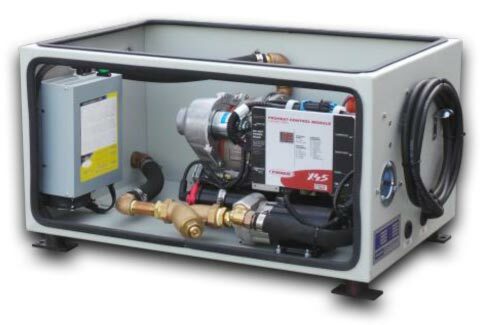 PortaThaw® pumps hot coolant to critical systems quickly via multiple heat exchangers. The Thermex Quick-Coupler Manifold provides easy valve control and hookups for hot engine coolant to warm systems via our diesel-fired PortaThaw® Cold Start System. 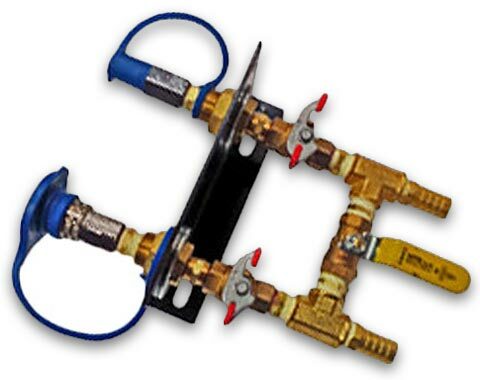 This manifold system is an excellent accessory to our PortaThaw®. Allows coolant lines to be linked up quickly and easily. On-board valve adjustment for fast re-direction of hot coolant to separate systems. Thermex TundraTherm™ is a 12V or 14V diesel-fired heater that is optimized for cold weather heating. This system can be used in a variety of scenarios for any type of truck or heavy duty equipment. TundraTherm™ acts as a stand-alone coolant heater and can act as the primary heat source for many Thermex components. The Thermex DynaHeat™ engine heating system force-circulates hot coolant throughout an engine block. Maintains warm coolant temperature for reliable start-ups. Reduces emissions as a result of over-idling. Allows engines to throttle up to full power without the need to pre-idle. 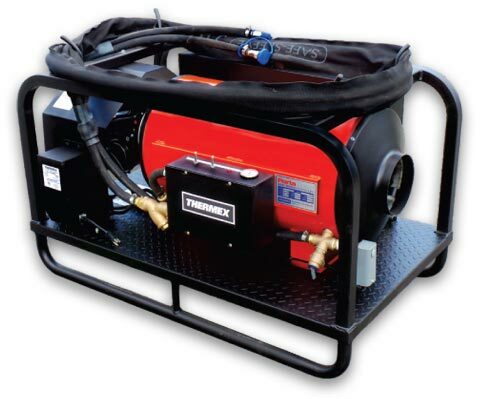 Thermex HotBox™ is a mobile heating system designed to quickly heat downed equipment. The units is equipped with multiple hot air supply ducts. This allows HotBox™ to simultaneously add heat to targeted frozen components or trouble spots. Get ultimate cold weather protection for your fleet. 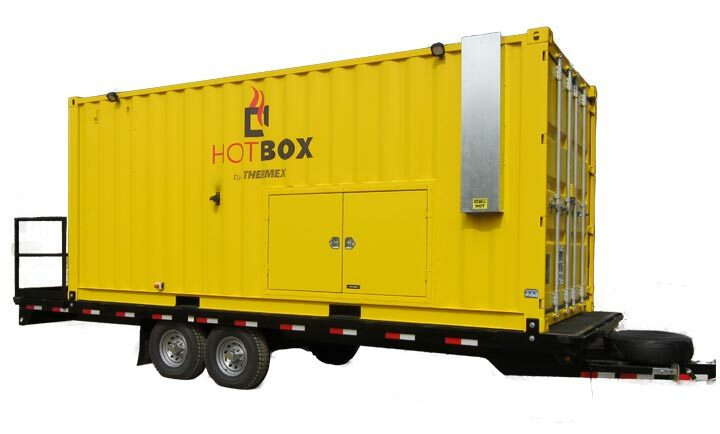 HotBox™ can quickly be used for asset recovery in the field or to keep equipment warm during safety shut-downs. 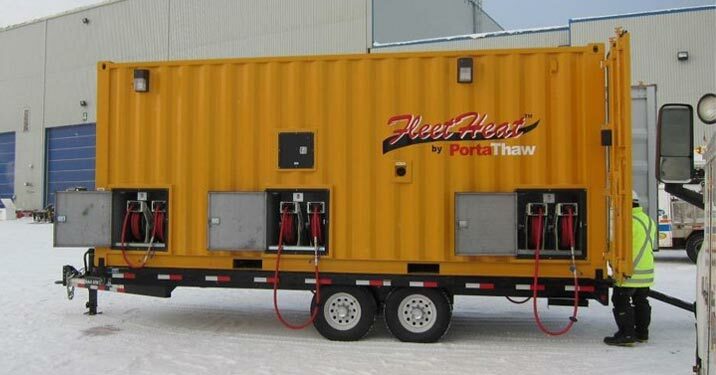 The Thermex FleetHeat™ is a mobile centralized heating module. 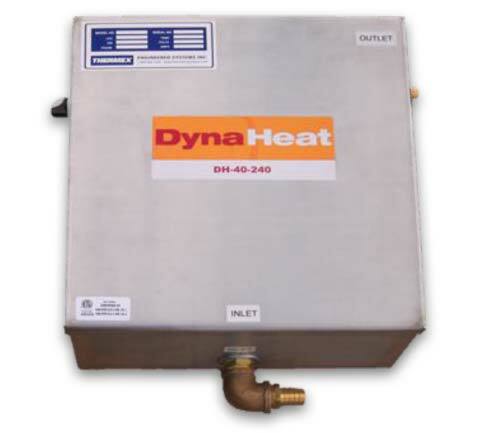 Designed to provide maintenance heat to multiple machines overnight, or during shut downs. 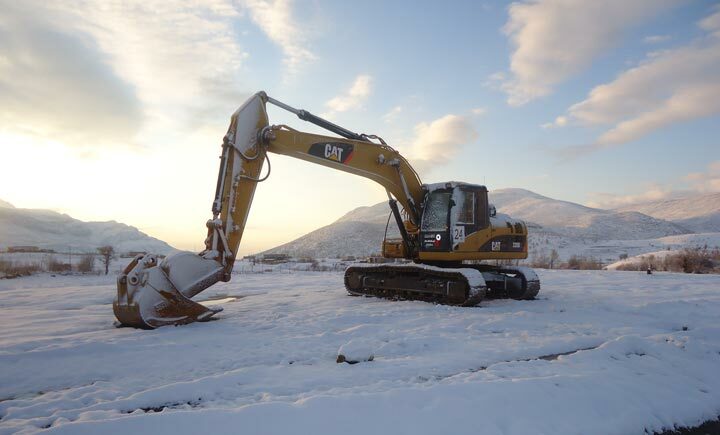 FleetHeat™ keeps your heavy equipment consistently warm and substitutes for overnight idling.